Congratulations to Kyle Haining (2191) and Bryce Tiglon (2357) for sharing first place with four other 2400+ rated players at the National High School Championship in Atlanta, GA, held April 1-3, 2016. [All six players scored 6.0 points in 7 rounds.] Kyle pulled off an incredible feat by defeating two 2400+ rated players in the last two rounds. Daniel He (2268) finished a half-point behind at 5.5/7 and placed 9th overall among 284 players. 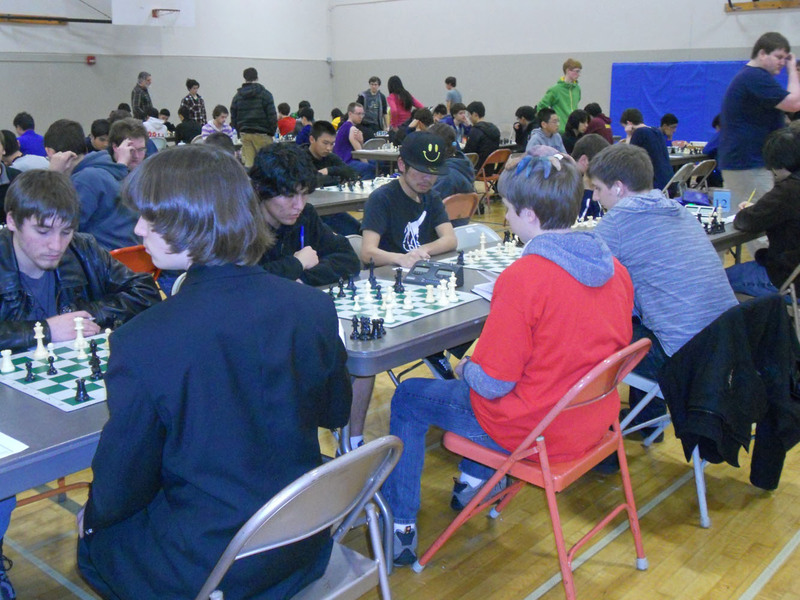 Other notable performances at 5/7 include Samuel He (2263, placed 26th) who went undefeated and drew an IM, and Benjamin Brusniak (1932, placed 34th). Washington players also dominated the Blitz championship with five players finishing in the top 12 – Samuel He (#2), Bryce Tiglon (#3), Daniel He (#5), Noah Fields (#8) and Kyle Haining (#12). Last but not least, the Lakeside team finished 2nd and Redmond High placed 8th in the nation! Reported by Hock San Lee. | See the US Chess cross table. 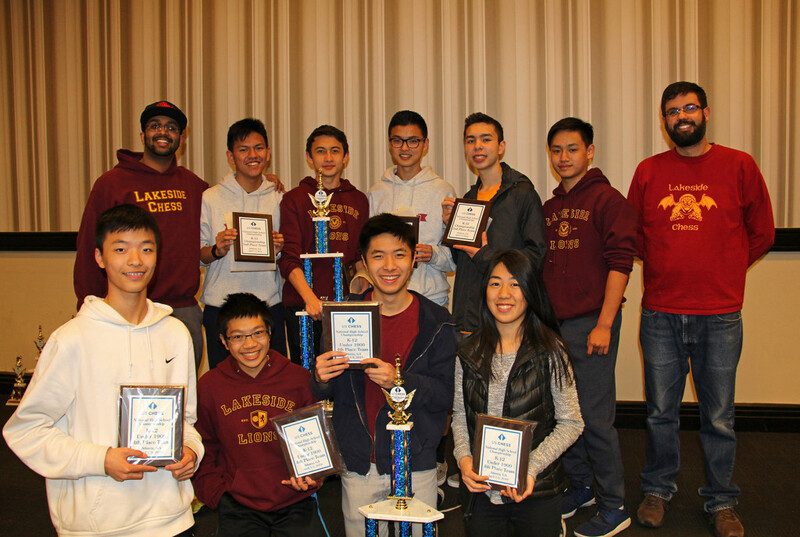 Lakeside Chess Team at 2016 National High School Championship. Photo: Back row (L to R): Coach Siva Sankrithi, Masayuki Nagase, Benjamin Brusniak, Justin Yu, Bryce Tiglon, Toshihiro Nagase, Coach Josh Sinanan. Front row: Allistair Yu, Chandler Moy, Wesley Yu, Cheyenne Zhang. Photo Credit: Hideyuki Nagase. 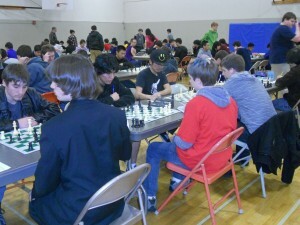 Chess Ratings Northwest Crosstables for the above and other events held at same time and place. CLICK HERE. Full Event Crosstable. Photo below submitted by Duane Polich.